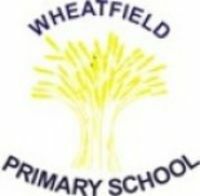 Shine popular after school Dodgeball Club is an ideal choice for active boys and girls from Wheatfield Primary School. Dodgeball is an inclusive and fun based team sport that is growing in popularity and can be enjoyed equally by children of all ages and abilities. Come and join us for this friendly and sociable activity. As well as having great fun enjoying this rapidly expanding team sport, the dodgeball participants will benefit from well structured, healthy and enjoyable team games and mini matches that combine a range of basic throwing and catching techniques encompassing the fundamental skills of balance, speed, communication and co-ordination. Session are based indoors and are lead by Shine's supportive and motivational coaches. Your child/children must be signed out at the end of every day. We will present a A 'Star of the Day or Term" award depending on the amount of children in the club. Booking is essential. If you aren't booked on the activity by 12:00 on that day, your child will be taken back to the school office.